With a central location free Wi-Fi free parking and an outdoor pool our guests are impressed with The Quality Inn Midtown Savannah. The two-floor hotel has 170 rooms. All accommodations feature pillowtop mattresses microwaves refrigerators and free Wi-Fi. In the morning guests can fuel up for the day with the free hot breakfast buffet. Later on work horses can head to the public computer with copier and fax while sun worshippers can lounge by the seasonal outdoor pool and sun deck. Anyone who wants to break a sweat with a workout can hit the exercise room for their daily session. Night owls can enjoy themselves after-hours at the on-site lounge which turns into a nightclub three days a week. For those with wheels parking is complimentary. Animal fans can bring their furry friends for an additional fee. 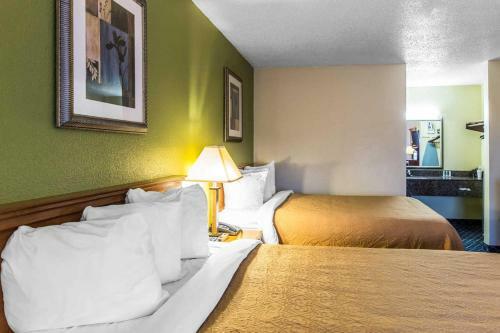 Five minutes from Hunter Army Airfield and golf course The Quality Inn Midtown Savannah offers plenty of shopping dining and historic sites nearby. Three shopping centers are within three blocks of the hotel and Wormsloe Plantation's live oaks are three and a half miles east. Head north four miles into downtown for a peek at The Savannah College of Art and Design Forsyth Park River Street and City Market. Savannah/Hilton Head International Airport is 15 miles away. 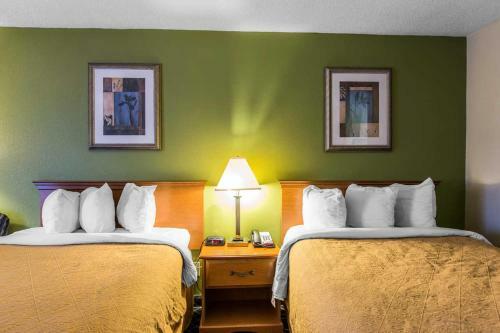 Add Quality Inn Midtown Savannah to your free online travel itinerary.